The most conspicuous thing about the Boom 3 is its giant volume buttons, which borrow their design from UE's Blast speakers. The appeal of these is liable to be subjective, but so far we like them, as they add a bit of style and eliminate any fumbling around. The speaker as a whole is a little smaller than we were expecting, which is welcome — it should be easy enough to stuff into a backpack or suitcase, or fit on a shelf or bath rack. On that note, the Boom 3 is IP67 waterproof, meaning it can be submerged to a depth of 1 meter (a little over 3 feet) for up to 30 minutes. It even floats. While you probably won't be tossing it around at the sort of imaginary pool parties UE uses in marketing, it should survive a quick dip or your daily shower. Some further design differences in the Boom 3 include a port for UE's Power Up charging dock, and a relocation of the micro USB port from the bottom to the side. The latter is a common-sense decision, since people who want listen and charge simultaneously can finally do so without tipping the speaker on its side or upside-down. Audio has so far been pleasing, at least for what UE is attempting. 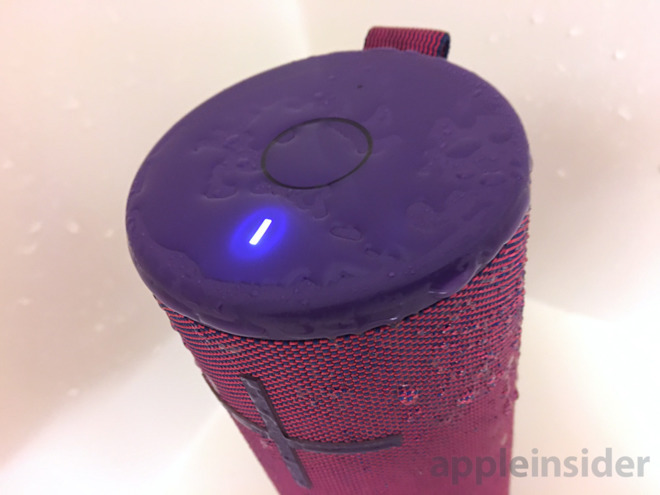 It lacks the clarity or deep bass of something like a HomePod or Sonos, but it's serviceable, and surprisingly loud. You may want to keep your finger over the volume-down button when you first fire it up, since you could actually hurt your ears at close range. 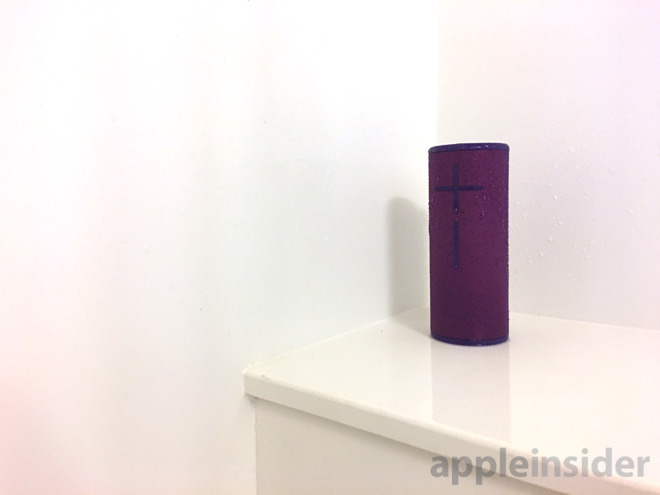 We'll need to do more testing to get a better sense of sound quality, but it's worth noting that like other Boom speakers, a dedicated iPhone and iPad app is available for customizing EQ settings. 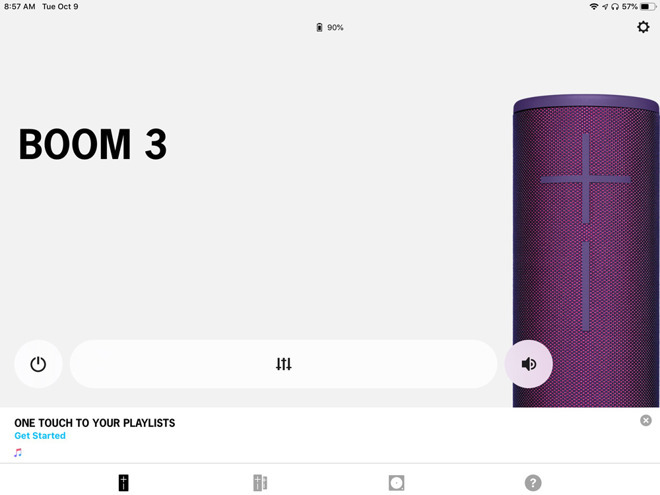 You can even use the app to remotely power up or down, launch a preset playlist, or connect up to 150 Boom speakers. Logitech's Boom 3 speaker retails for $149.99. Keep following AppleInsider for a complete review coming soon.